Where else would one go on Hilton Head that brings excitement for the whole family! For a condo experience unlike any other, these 82 villas are at the end of South Forest Beach on the direct oceanfront and have a brand-new swimming pool nestled in just behind the dunes that also overlooks the ocean. This area is a great place to live since it includes properties that the whole family will enjoy, properties that will rent well, and that will likely see appreciation over the years. The 1-bedroom, 1-bath floor plan is approximately 580 square feet, while the 2-bedroom, 2-bath floor plan is about 800 square feet. Keep in mind, every balcony has unobstructed views of the beach and pets are permitted for owners only. 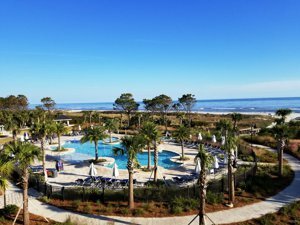 Forest Beach owners have a range of amenities available to them, including Coligny Plaza, which all visitors will pass at the Coligny Circle. Nearby off the circle is the Coligny Beach Park, which is open to the public and has a municipal parking lot open to all across South Forest Beach Drive from the Beach Park. Two other shopping areas are close by and across from each other on Pope Avenue in Heritage Plaza and the Circle Center, each with its own variety of shops and restaurants and all within walking distance of Coligny Circle. 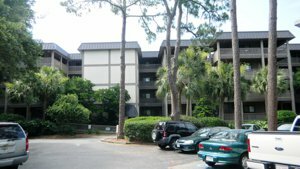 You can find Ocean Dunes Villas Hilton Head for sale, along with a collection of other unique properties in South Forest Beach. HHI has so much to offer residents and visitors! Whether you're looking for a laid-back lifestyle or an investment property, you can find both with the help from The Pattisall Group. Use our online search tool to get started! Additional information about Forest Beach can be found on its property association website at www.forestbeachassociation.com. Listing courtesy of The Pattisall Group. Selling Office: . Outstanding panoramic ocean view from this 4th floor, one bedroom Ocean Dunes. Villa overlooks the new Ocean Dunes pool and the Hilton pool. Great short term rental. Listing courtesy of Vacation Time of HHI. Selling Office: .